Round Five: English in Europe, what did we learn? As conversations return to the question of English rugby's lack of European success and the Irish provinces' opposing dominance, we dissect the key talking points for the Premiership sides currently doing battle away from domestic action and where each of the seven sides stands with one pool game to go. The return of prodigal son Danny Cipriani did little to kick-start the Cherry and Whites into action this weekend, while a Gloucester pack so often seen as both physically dominant and entrancingly dynamic during the earlier portions of their season reduced to relying solely on pure grit. Such change in fortunes has seen the likes of Ben Morgan, Franco Mostert and Gerbrandt Grobler convincing as stand out performers; as opposed to the likes of injured trio Jaco Kriel, Jake Polledri and Val Rapava Ruskin, who were lauded far and wide in 2018. As it transpires, Gloucester's healthy purple patch has finally fallen victim to consistently disruptive injury rate, taking its toll in 2019 so far. While Munster were quite simply transcendent with Joey Carbery on the warpath, Gloucester posses the capability to press the visitors to a 10-point difference and not the eventual 41-15 drubbing that took place at Kingsholm. All credit to Johann van Graan and his invading red forces, both players and supporters proved themselves worthy of at least a semi-final this year. Full focus will be placed on the Premiership with the potential of resting a few key players over the next few weeks of Champions Cup dead rubbers and Premiership Cup action. A slight dip for Gloucester, but with the genial presence of Johan Ackermann at the helm, you'd imagine their hopes of a domestic semi-final are far from being at risk. A thumping defeat at home to a monstrously out of form Scarlets side must be caveated with the number of players Geordy Murphy chose to rest this weekend with European hopes dashed and the out-of-nowhere brilliance of the Scarlets. However, the way Leicester follow up their fourth defeat in five pool fixture over the next month may be essential to their season's hopes. With Murphy set to be bereft of his Six Nations stars and half of his first-choice XV, the remaining squad members must learn to harness yesterday's bitter taste of disappointing the Welford Road faithful. A resilient reply will be key to success in the build-up to fixtures against Saracens, Worcester and Wasps. Another notable side story will be the effect newly arrived and returning defence coach Phil Blake can produce after a woeful record so far this season. Notoriously successful post-Christmas, there remains potential in this Leicester side. Newcastle's dominant start to their European antics this season has since been curdled by a cliff-like drop in fortunes across both domestic and Champions Cup action. Dean Richards will have been aiming for a morale-boosting win away to Montpellier yesterday and not the 45-8 defeat that transpired at the Altrad Stadium. Injured players are slowly making their way back to fitness for the Falcons, but the question of whether they will arrive in time to save Newcastle's Premiership season remain far from answered. Most importantly for Newcastle, non-international leaders will be in high demand with club stalwart Mark Wilson now firmly in the England setup throughout both February and March. The hope of catching sides such as Bath, Exeter and Wasps napping without their England cohorts will be key to extracting themselves from their current relegation spot. In opposing fortunes to their fiercest rivals, Gloucester, Bath benefitted from the injury return of one of their biggest star at the Rec yesterday. Taulupe Faletau's sensational break to set up try-scorer Max Green marked the British and Irish Lion's return in emphatic fashion in just the eighth minute. Despite his impending Six Nationa absence, good news for a side in need of regular world-class individuals. The return to the starting XV of Faletau's fellow Welsh international, Rhys Priestland, stood as an additional boost for the Blue, Black and White. The 50-cap fly-half was back to something near his orchestral best yesterday. Unlikely to be away during the Six Nations, Priestland may be set to provide Bath with the requisite stability they have so desperately lacked. Bath Rugby has almost become a synonym for intermittent form over the last two years and, unfortunately, it's hard to justify the thought process that there could be subsequent success for Todd Blackadder and his team. Wasps' spirit-lifting victory Northampton Saints at the Ricoh last weekend had suggested the end of a concerning losing run for the men from Coventry, putting smiles on fans' faces for the first time in some weeks. Alas, a performance riddled with disciplinary misdeeds saw an end to such hopes. Dai Young's Wasps join the throng of English sides struggling for consistency, healthy players and positive headlines at current with their defeat at the Rec. You could say for former London side are enjoying a season indicative of English rugby at current. Wasps will continue to build combinations in Europe next week as they ponder the path back to coherence, as far as results go. Whether they can provide their star signing, All Black fly-half Lima Sopoaga, with the type of stability that will allow him to settle and thrive remains to be seen. Once again it lies to Saracens to fight England's corner in the Champions Cup this season, and as expected, Marj McCall's methods are bringing home the bacon. The Premiership Champions are the only side in Europe yet to taste defeat and have done so despite a number of key injuries throughout their season so far. There is little to be said of Saracens' campaign in the Champion Cup so far, aside from the fact that they are, yet again, proving themselves to be the only Premiership outfit able to balance their performances success across two top-level competitions. At the heart of such success? 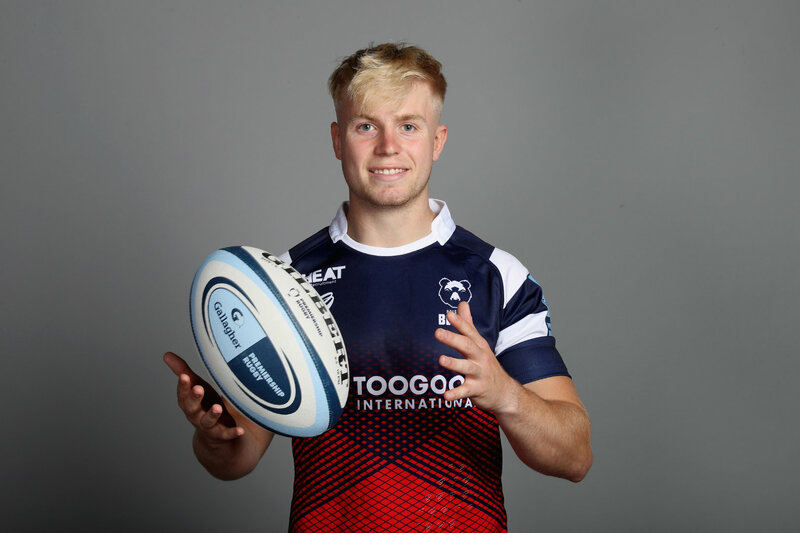 A thriving academy system boasting the like of Jamie George, Maro Itoje, Ben Spencer, Owen Farrell, Nick Tompkins, Alex Goode and countless further homegrown stars. Exeter Chiefs:" So you're telling me there's a chance?" Yet another disenchanting season in Europe for the noble Chiefs seems set to be curtailed with a potential last gasp hope of knockout qualification. Rob Baxter has tweaked with his selection policies, rested players in a Pro14-type fashion and varied his methods of mid-week preparation, but it has taken until the fifth round of action on home soil to kick into gear. 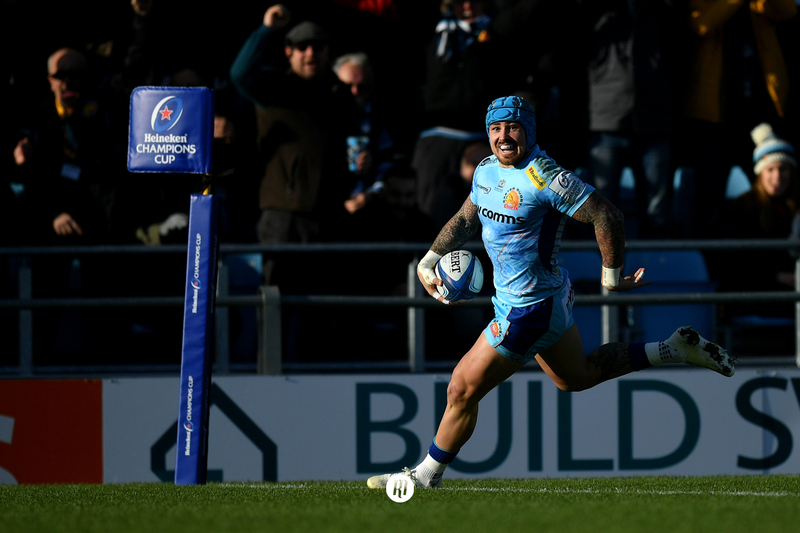 The talismanic duo of Henry Slade and Jack Nowell brought plenty of fizz to the Sandy Park festivities earlier today but arguably the performances up front from fit-again Jonny Hill, Sam Skinner Don Armand and the tenacious Matt Kvesic provided the oh so important mortar. A trip to the famous Irish stomping ground of Thomond Park to face a Munster side in booming form next weekend could be the difference between heartbreak and jubilation for Baxter and his charges. And potentially, the salvage of much-needed pride for English sides in Europe.